The NEXUS Criteria represent a well-validated clinical decision aid that can be used to safely rule out cervical spine injury in alert, stable trauma patients without the need to obtain radiographic images. The NEXUS Criteria were developed to help physicians determine whether cervical spine imaging could be safely avoided in appropriate patients. Validation study included a prospective, observational sample of 34,069 patients, aged 1 to 101 years, presenting to 21 US trauma centers. 1.7% of those studied had clinically significant c-spine injuries (CSI). NEXUS Criteria found to have sensitivity of 99.6% for ruling out CSI (2/578). Also detected 99.0% (8/818) of ALL c-spine injuries (6 of which were injuries that didn’t require stabilization or specialized treatment). Adopting this rule could decrease imaging in the these patients by 12.6%. Subsequent studies have found a sensitivity of 83-100% for CSI with majority finding 90-100% sensitivity. Unlike the Canadian C-spine Rule (CCR), NEXUS Criteria does not have age cut-offs and is theoretically applicable to all patients > 1 year of age. However, there is literature to suggest caution applying NEXUS to patients > 65 years of age, as the sensitivity may be as low as 66-84%. In a large retrospective trauma registry study of 231,018 patients by Paykin et al in 2017, sensitivity was still only 94.8% (95% CI: 92.1%-96.7%). In the only trial to undertake a prospective head to head comparison of NEXUS to the CCR, the CCR was found to have superior sensitivity (99.4 vs 90.7%). However the trial was performed by the creators of the CCR at hospitals that were involved in the initial CCR validation study. There were also post-hoc “clarifications” added by the authors to the original NEXUS Criteria, leading to some concerns about the generalizability of the study findings. There is also debate about whether x-rays of the c-spine are sufficiently sensitive to rule out c-spine injuries in trauma patients and whether CT is a more appropriate imaging modality in this patient population. There are over 1 million visits to US emergency departments annually for blunt trauma patients who present with a concern for possible cervical spine imaging. Many of these patients undergo imaging of their c-spine, with the overwhelming majority (98%) of the studies coming back negative for a fracture. This imaging is both largely unnecessary, and extremely costly (>$180,000,000 annually). Applying the NEXUS Criteria would allow physicians to safely reduce imaging between 12-36% in patients presenting with concern for possible cervical spine imaging, avoiding unnecessary radiographic studies and saving significant cost. The NEXUS Criteria have been prospectively validated in the largest cohort of patients ever studied for this indication. If a patient is NEXUS Criteria negative, further imaging is likely unnecessary. Patient may require emergent operative stabilization and/or admission to neurosurgical ICU. Because of concerns that the NEXUS Criteria do not perform as well among patients > 65 years of age, providers may want to consider further imaging if they are concerned about the mechanism or exam in elderly patients. Although more complicated to remember, the Canadian C-spine Rule appears to perform as well or better than NEXUS in terms of sensitivity for CSI. In cases where a patient does not rule out under the NEXUS Criteria, it may be appropriate to apply the CCR. If the patient is CCR negative then further imaging is probably unnecessary. For example, a patient with midline C-spine tenderness would need imaging according to NEXUS, but could potentially be cleared by the CCR if they did not have any high risk features but could range their necks 45 degrees to the left and right. There is also concern that NEXUS was derived and validated in an era when plain films were much more commonly ordered to assess for C-spine injuries. CT imaging of the C-spine is now much more common, and there is some evidence that computed tomography may identify CSIs that would be missed by NEXUS and/or the CCR. At 34,069, the number of patients enrolled in the original validation study for the NEXUS was over 3.5 times greater than in the original Canadian C-spine Study. As applied, the rule missed 2 of the 578 patients with a clinically significant c-spine injury (CSI), yielding a sensitivity of 99.6%. Subsequent evaluations of the NEXUS Criteria have found the sensitivity for CSI to be more variable (83-100%) but there have been some concerns about the methodology (retrospective review) and the way the criteria were applied in several of these analysis. One trial evaluating NEXUS in which all patients underwent CT imaging of their cervical spine, found a sensitivity of 83%, with the rule missing 2.5% (26/1057) of patients with fractures. 16 (1.5%) of these patients required prolonged time in a cervical collar, 2 (0.2%) underwent operative repair and 1 (0.1%) had a halo placed. Hoffman JR, Wolfson AB, Todd K, Mower WR.Selective cervical spine radiography in blunt trauma: methodology of the National Emergency X-Radiography Utilization Study (NEXUS). Ann Emerg Med. 1998 Oct;32(4):461-9. Hoffman JR, Mower WR, Wolfson AB, Todd KH, Zucker MI. Validity of a set of clinical criteria to rule out injury to the cervical spine in patients with blunt trauma. National Emergency X-Radiography Utilization Study Group. N Engl J Med. 2000 Jul 13;343(2):94-9. Erratum in: N Engl J Med 2001 Feb 8;344(6):464. Michaleff ZA, Maher CG, Verhagen AP, Rebbeck T, Lin CW. Accuracy of the Canadian C-spine rule and NEXUS to screen for clinically important cervical spine injury in patients following blunt trauma: a systematic review.CMAJ. 2012 Nov 6;184(16):E867-76. doi: 10.1503/cmaj.120675. Epub 2012 Oct 9. Review. Dickinson G, Stiell IG, Schull M, Brison R, Clement CM, Vandemheen KL, Cass D, McKnight D, Greenberg G, Worthington JR, Reardon M, Morrison L, Eisenhauer MA, Dreyer J, Wells GA. Retrospective application of the NEXUS low-risk criteria for cervical spine radiography in Canadian emergency departments. Ann Emerg Med. 2004 Apr;43(4):507-14. Duane TM, Mayglothling J, Wilson SP, Wolfe LG, Aboutanos MB, Whelan JF, Malhotra AK, Ivatury RR. National Emergency X-Radiography Utilization Study criteria is inadequate to rule out fracture after significant blunt trauma compared with computed tomography. J Trauma. 2011 Apr;70(4):829-31. doi: 10.1097/TA.0b013e31820ea6b3. Stiell IG, Clement CM, McKnight RD, Brison R, Schull MJ, Rowe BH, Worthington JR, Eisenhauer MA, Cass D, Greenberg G, MacPhail I, Dreyer J, Lee JS, Bandiera G, Reardon M, Holroyd B, Lesiuk H, Wells GA. The Canadian C-spine rule versus the NEXUS low-risk criteria in patients with trauma. N Engl J Med. 2003 Dec 25;349(26):2510-8. Goode T, Young A, Wilson SP, Katzen J, Wolfe LG, Duane TM. Evaluation of cervical spine fracture in the elderly: can we trust our physical examination? Am Surg. 2014 Feb;80(2):182-4. Paykin G, O'reilly G, Ackland HM, Mitra B. The NEXUS criteria are insufficient to exclude cervical spine fractures in older blunt trauma patients. Injury. 2017;48(5):1020-1024. How did you define cervical spine tenderness - that the patient has to have midline tenderness to palpation (and show wincing on their face) or did any report of midline tenderness to palpation/pain count? The notion that tenderness is quantifiable on a score without trusting the patient is crazy. Let’s go back and remember what this is about: our goal was never to get rid of negative c-spine films, our goal was to get rid of an extra percentage of those. 98% of them were already negative. We wanted to see if there was a way to avoid doing a film in somebody that everyone in the world knows is okay, and we’re only doing it because we’re all scared. When you know this patient is fine, can we help you [the doctor] have the courage to not order a test, and, in fact, simply by doing that we found we could get people to do half or a third or a fifth of the studies [c-spine imaging] that they already did. The best decision instruments let us do what we know is right. We knew that some collection of simple characteristics was going to be right for NEXUS. And they were the five that we already knew were important. When you break your neck, there’s only a very limited number of ways you can manifest that: pain, tenderness and not wanting to move your neck. What pearls, pitfalls and/or tips do you have for users of the NEXUS Criteria? Are there cases in which they have been applied, interpreted, or used inappropriately? When we made NEXUS we decided it could not have more than 5 parts to it. We knew people wouldn’t fill out the form well if there’s too much information to fill out. People get NEXUS wrong all the time. I’m sure people misuse it, but it’s so crystal clear that if you have a neck fracture you tell us about it in one of a few ways – pain or tenderness. I’m not a big fan of mechanism of injury – even if we know exactly what happened, going by mechanism often only adds more false positives. What recommendations do you have for health care providers once they have applied the NEXUS Criteria? Are there any adjustments or updates you would make to the criteria given recent changes in medicine? Are there mechanisms that should get plain films first, or not get plain films first? Thoughts on increased CT utilization? What are your thoughts on C-collars? They’re probably not terribly important. I have to say that collars are harmful if you’re in them for an hour, as patients then do develop tenderness and pain, which then complicates things. One solution, particularly in urban systems where you can be seen very quickly [from ground ambulance transport], is anytime someone comes in on a backboard you immediately clear them. 90% of them can be cleared, and then it’s done and makes it easy. The collar probably doesn’t do anything. Most people don’t have a fracture, most people who are awake and alert aren’t going to move their neck to protect their spine if they do have a fracture; on the other hand, some are going to be a little altered and can’t protect them. It’s perfectly reasonable to put a collar on or keep one on when you’re reasonably suspicious of a fracture. Finally -- any other comments? Any new research or papers on this topic in the pipeline? NEXUS is not something you have to think seriously about – it’s based on what you already know. It allows you to do what you know is right in a patient whose risk is minimal by your assessment. Don’t apply the NEXUS rule if you’re truly worried a patient might have a fracture. You don’t have to do films even if they’re “clear” by NEXUS. NEXUS doesn’t tell you when you have to image, it tells you when you’re allowed to not image. It’s purposefully vague (no definition of intoxication by alcohol level, no definition of distracting injury), because it’s meant to be used by a physician with good clinical judgment and gestalt. If you think they’re intoxicated, they’re intoxicated. If you think they’re distracted, they’re distracted. The elderly (XR will often provide limited information due to DJD and aging that can be misidentified as fracture or miss other fractures). Multi-trauma patients (they’re already getting other CTs). Very high pre-test probability patients. In other patients with fairly low risk of fracture, a really good negative x-ray in a normal looking spine is usually sufficient. It’s enough. Jerome Hoffman, MD, is the associate program director of emergency medicine and acute care at UCLA. He is also professor emeritus of medicine and emergency medicine. 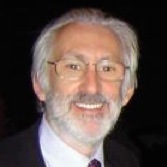 Dr. Hoffman has directed the UCLA Doctoring Program for more than 20 years, and his research focuses on Health Services Research and Clinical Decision Making, as well as in areas related to Medical Education.